Hong Kong, one of the world's most prestigious sailing destinations, will be hosting the Volvo Ocean Race for the first time when the event visits in February 2018 during the 13th edition. Hong Kong, one of the world’s most prestigious sailing destinations, will be hosting the Volvo Ocean Race for the first time when the event visits in February 2018 during the 13th edition. In a press conference today, Volvo Ocean Race organisers announced a unique collaboration with the Hong Kong Sailing Federation to bring the race to Hong Kong’s Victoria Harbour. 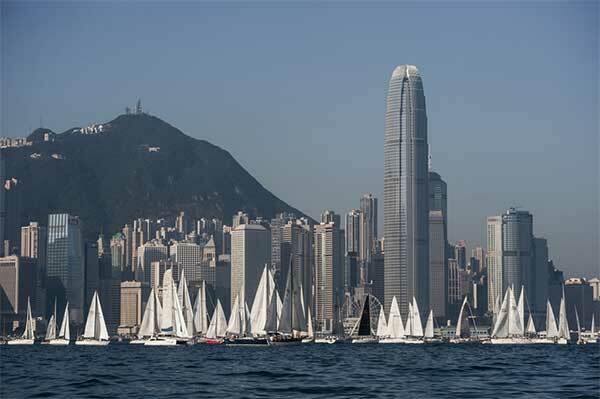 It will be the largest world-class sailing event ever staged in Hong Kong. The world’s premier offshore race will transform the old airport in Kai Tak, and introduce residents of Hong Kong to a wide range of race-related activities geared to educate as well as entertain both existing fans and newcomers to the race. An in-port race, will also be held in the port before the boats leave for the next leg. Anthony Day, Council Member of the Hong Kong Sailing Federation, said: “This will go down in history as a milestone event for Hong Kong sailing and will provide a wonderful platform for us to engage more Hongkongers in the sport of sailing." Antonio Bolaños Lopez, acting CEO of the Volvo Ocean Race, added: “I am thrilled that the race is visiting one of the most beautiful ports in the world for the first time. We are delighted to welcome Hong Kong to the Volvo Ocean Race family and know that we will have a stopover that will be one of the highlights of the 2017-18 edition. Hong Kong brings the confirmed list of stopovers so far for the Volvo Ocean Race 2017-18 edition to nine, which includes Alicante, Auckland, Cape Town, Cardiff, Newport, Rhode Island, U.S, Lisbon, Gothenburg and The Hague.